The studio brought brand design principles to the project, creating a visual identity system for the exhibition that draws on the motifs of children’s ID tags and directional signs, with subtle color and typographic references to British mass transit. The arrows of the exhibit logo face westward, the direction of England from German territory. The exhibition makes a strong first impression with a striking red wall covered with thousands of paper name tags. 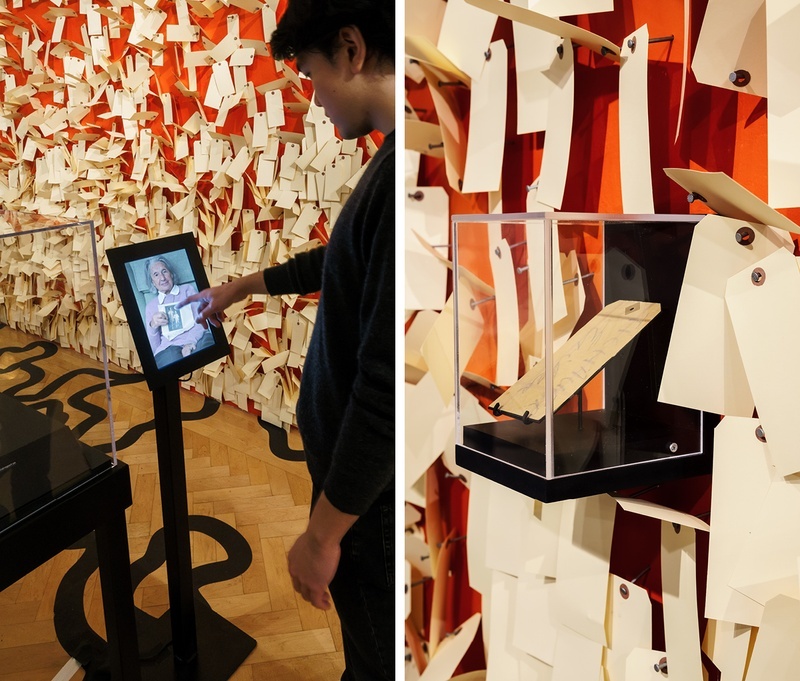 The refugee children wore manilla tags attached by twine around their necks during the Kindertransport, serving to identify them and their belongings. C&G Partners designed the tags to completely fill one wall of the exhibit, calling to mind leaves blown by the wind. The tags represent the scale, anonymity and eventual bittersweet success of the transport effort, which was able to rescue children but not their families. Serving as highly emotional bookends to the gallery space, the “German” wall has an actual-scale image of a mother and father, with their daughter removed from the picture. The opposite or “British” wall shows their daughter looking back towards them across the exhibition. 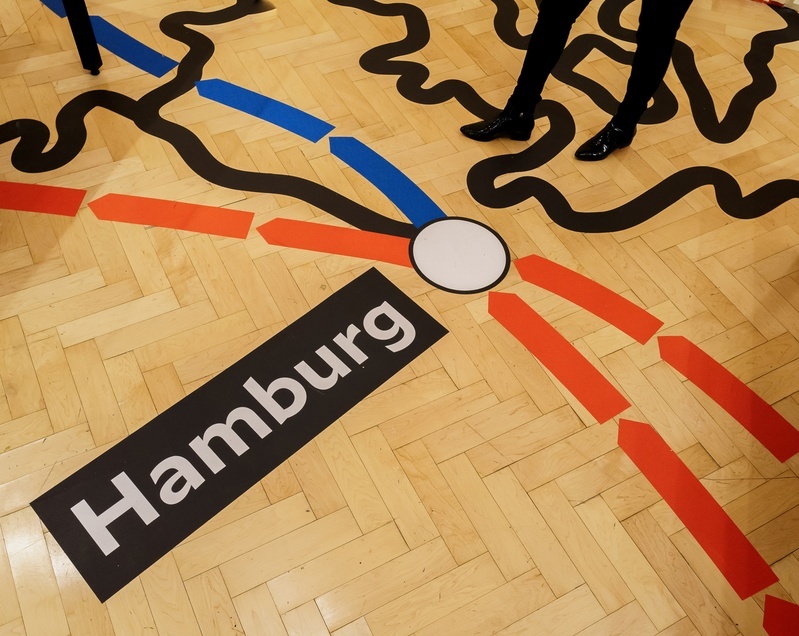 The entire floor of the exhibition is a map of Europe, illustrating the route taken by the refugee children. 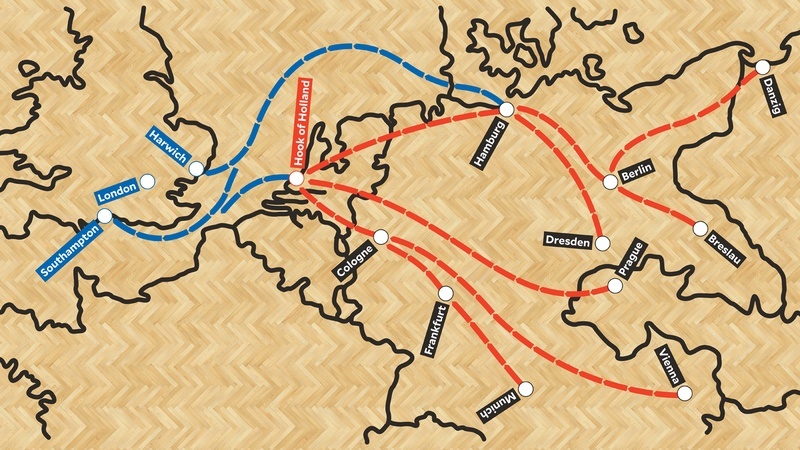 Referencing transit maps from the 1930s, these lines plot out major stops of the Kindertransport. Visitors “begin” their experience in Poland, Czechoslovakia, Austria or Germany, and continue through the exhibit to ultimately arrive in UK destinations of Harwich or Southampton. 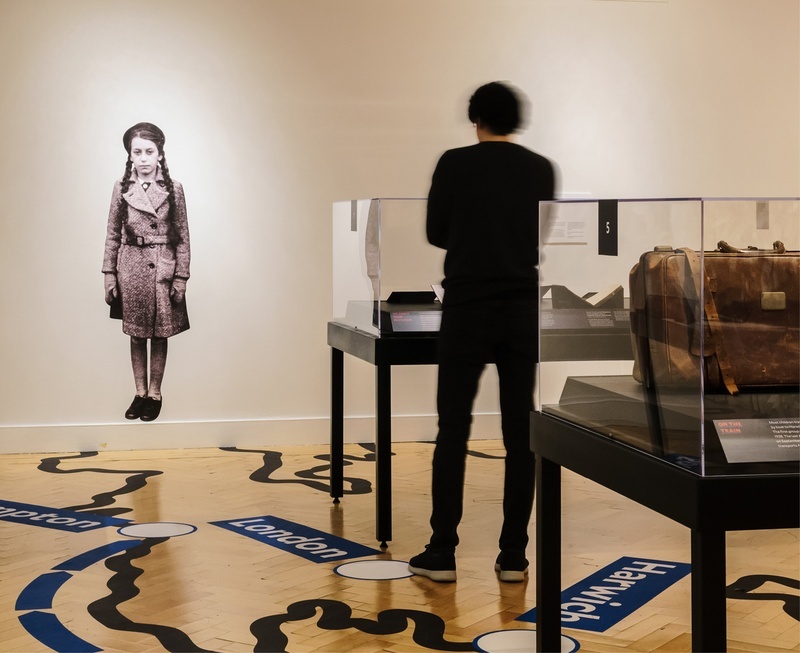 Display cases throughout the gallery contain artifacts from the Kindertransport period, including letters, clothing, and toys. 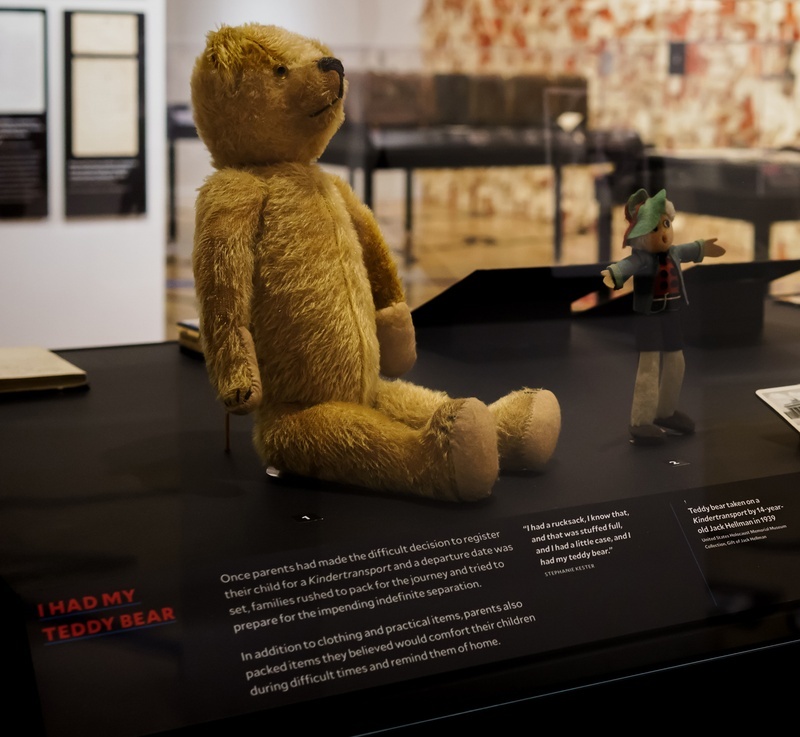 Four vitrines also contain audio interviews, conducted by C&G Partners, of surviving Kinder who tell the personal story of their journey, and the days before and after. 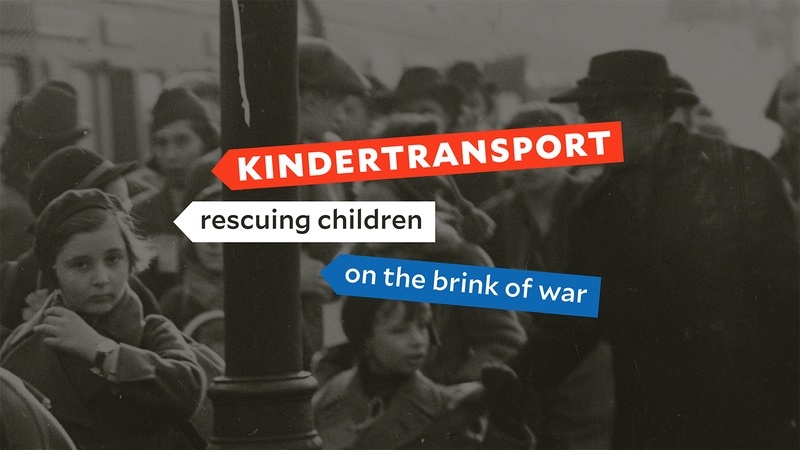 “Kindertransport – Rescuing Children on the Brink of War” is the latest in a trilogy of projects by C&G Partners at the Center for Jewish History that includes the year-long digital and exhibition program 1938 Projekt: Posts from the Past and the exhibition Stolen Heart, which used projection mapping and 3D printing to tell the story of how property in Germany owned by Jewish families and businesses was seized by the state.